The New Tallest Hotel in the World - Move One Inc.
Another astonishing record in Dubai, the new tallest hotel in the world. 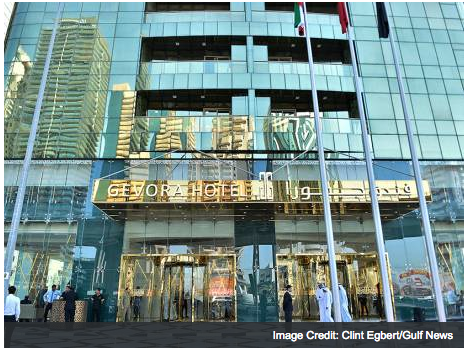 Dubai’s Gevora, the new tallest hotel in the world, opens. The 356 metre high Gevora on Shaikh Zayed Road is now open for business. Dubai: Shaikh Zayed Road’s status as the destination for skyscraper records has just been reinforced. The Gevora Hotel — developed by the Al Attar Group — will from Monday lay claim to be the “world’s tallest hotel”, at 356 metres and 53 centimetres high. That makes it a metre taller than the previous holder of the title, the JW Marriott Marquis, just down the road from it. The new property’s claims to the title have been confirmed by Guinness Book of World Records.